Description: 30" Yamaha Bass drum head. Signed by the three original band members. 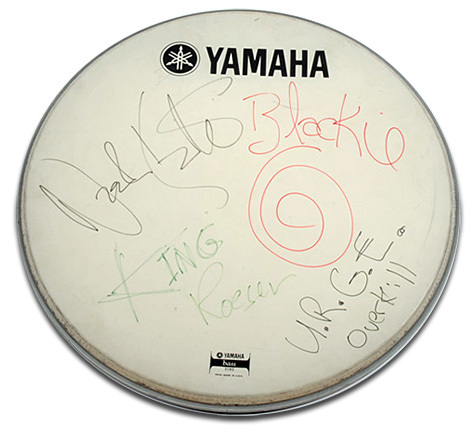 Note: Item signed while on Urge Overkill's 1996 US tour backstage at the TNT Building on Oklahoma City, OK.